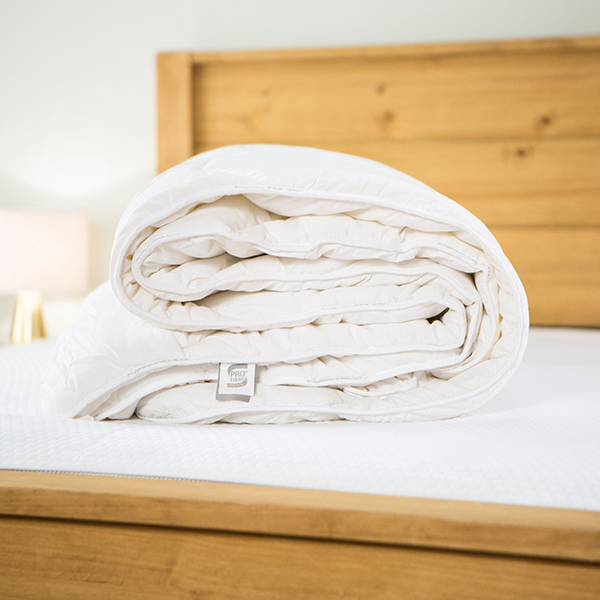 The Snuggledown 10.5 Tog Proactiv High Performance Duvet is part of the range that creates the perfect micro-climate, allowing you to sleep in supreme comfort. 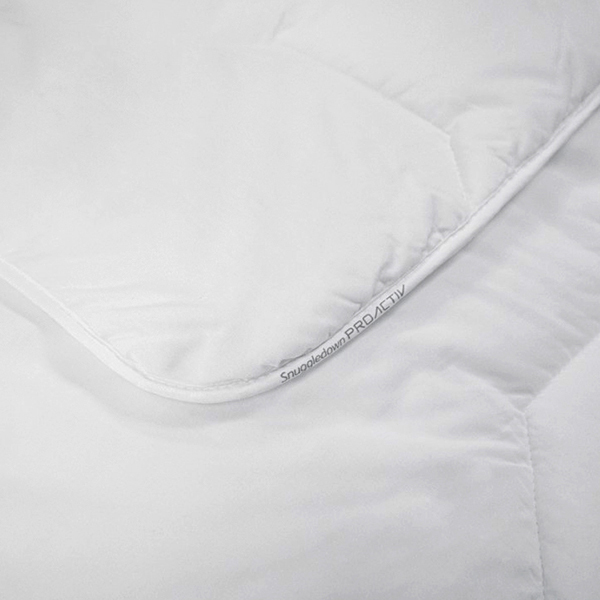 Its ultra-breathable fabric replicates that of sports apparel, to allow for perspiration, moisture and excess heat to escape to avoid an uncomfortable build-up in heat. 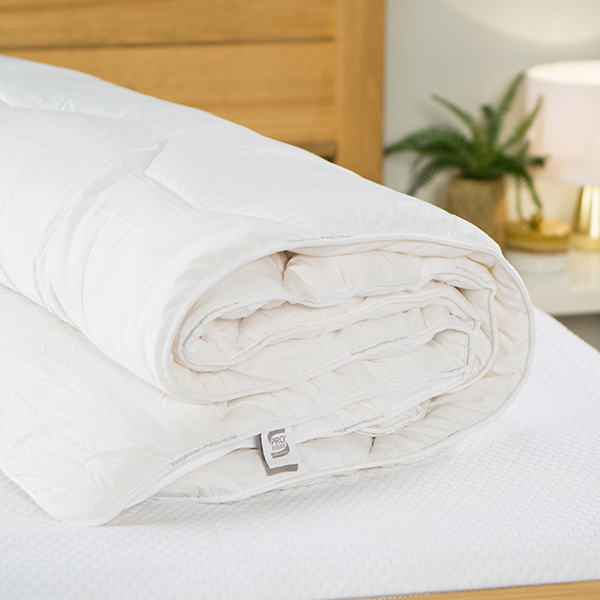 This also helps to protect against external temperature fluctuations, so you can continue to sleep soundly. 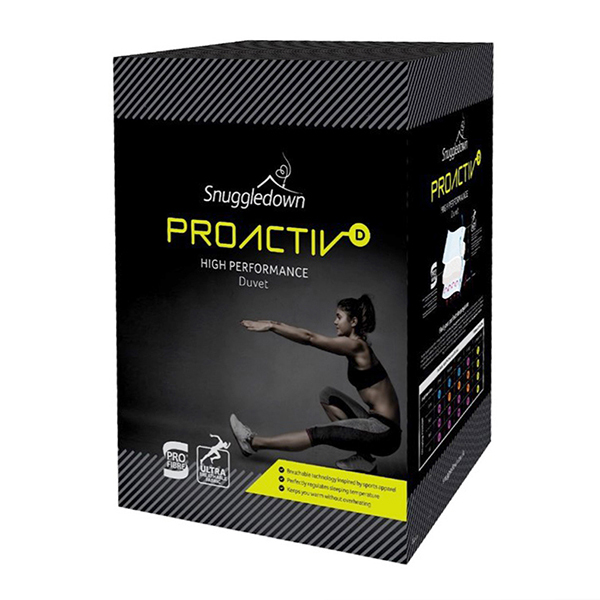 Its interior is plumped with Pro-Fibre Activ, which effectively manages moisture levels and helps to recharge your body after a long, heavy day on your feet. This duvet is suitable for all body types.